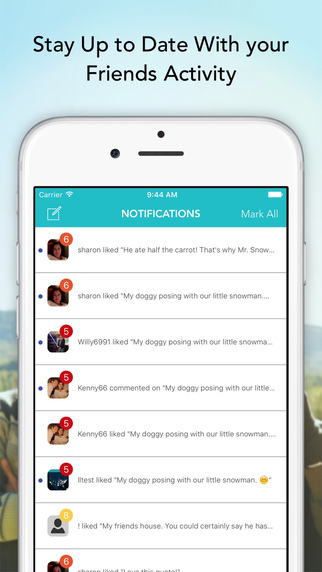 Published by Lounge Lizard Worldwide, Cheery Networkhas a tag-line of “share what’s positive” and it’s that motto which sets this social networking app for iOS apart. 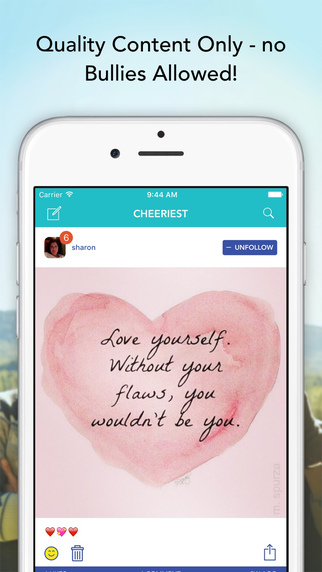 Cheery Network is an app that’s designed to reinforce positivity through not just encouraging positive content, but also by actively limiting negative posts. On the Cheery Network the idea is to be surrounded by motivational or uplifting stories, positive images or inspirational quotes. These can be moments from your own life, work or the places around you or just content that contributes something positive to the experience of other users. 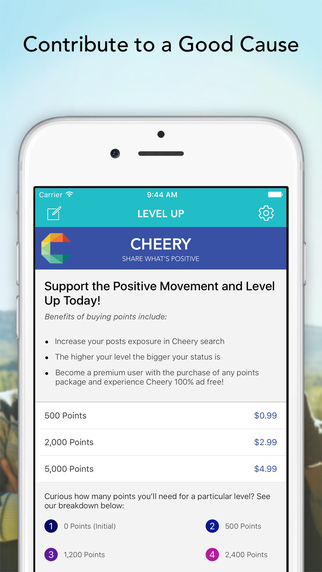 You actually ‘level up’ in Cheery Network by being active on the app – every time you post, comment, or like content your standing in the community grows. As with other social networks, you have a profile which you can post to which has a similar look and feel to Instagram. It’s easy to navigate and feels very intuitive and familiar to use. Like Instagram or Facebook, you can follow friends or just people whose content you enjoy. Generally negativity is frowned upon and users are encouraged to report negativity and there is a strict ‘no bullies’ message throughout the app. It’s designed to be a safe space. The app is free to download and use, but there is a Premium feature which is based on the purchase of ‘points’ packages. These allow your posts to be listed in the “Cheeriest” feed that all users see and gives your content broader reach. Cheery Networkis an interesting take on the social network. It’s only going to appeal to a certain niche, but the idea of surrounding yourself with positive people and ideas is attractive. 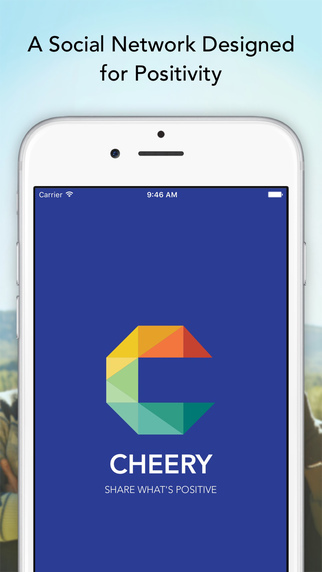 Cheery Network requires iOS 8.2 or later. Compatible with iPhone, iPad, and iPod touch.